Google Assistant is working on closing Alexa’s lead in smart device integration, with new financial and technical support for Assistant-minded startups. Google announced Thursday that Google Assistant can currently be used to control over 5,000 smart devices from 1,500 different manufacturers, behind the 12,000 smart devices across 2,000 manufacturers Amazon’s Alexa can control. 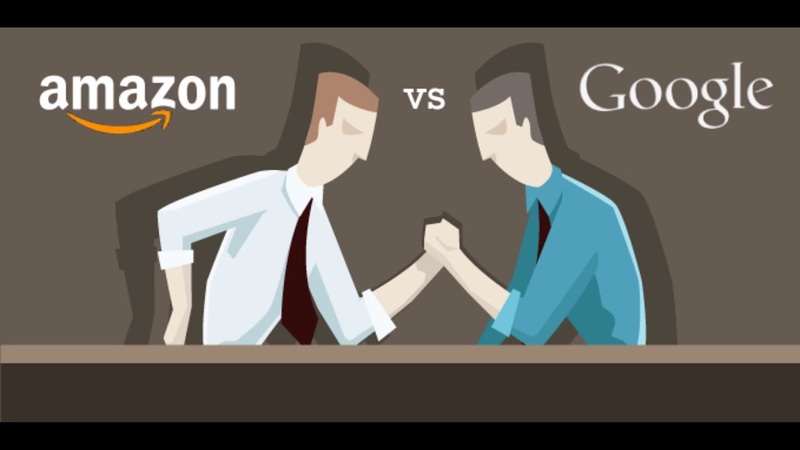 While this gap is significant, Google’s dedicating significant resources to outpacing Amazon in assistant integration to eventually surpass Alexa in device and manufacturer compatibility. To establish Assistant as the most widely integrated voice assistant, Google is launching a new investment program that will fund startups aimed at integrating Assistant into new hardware or features. In addition to funding, the program provides startups with early access to new Google features and tools, Google Cloud Platform access, promotional support, and advice from Google employees who can guide young small companies through development. Gaining momentum in voice assistant development is a key strategy for Google, as the company is tasked with chipping away the early lead Amazon Alexa gained in the space while fending off new entrants. Amazon first released Alexa in 2014, while Google Assistant didn’t come to the space until 2016. Due to that early lead, Amazon currently controls 52% of the US smart speaker market, and Google controls 32%, according to estimates from Loup Ventures. As more competitors like Apple enter the nascent market, an established lead in both voice apps and assistant integration into third parties will increase the barrier to entry for competitors and help early leaders to retain their leads. This news comes ahead of Google’s annual I/O developer conference, which will run May 8-10 and likely act as a launching pad for more Assistant news and updates. Smart speakers — Amazon’s Echo, for example — are the latest device category poised to take a chunk of our increasingly digital lives. These devices are made primarily for the home and execute a user’s voice commands via an integrated digital assistant. These digital assistants can play music, answer questions, and control other devices within a user’s home, among other things. The central question for this new product category is not when they will take off, but which devices will rise to the top. To answer this question, Business Insider Intelligence, Business Insider’s premium research service, surveyed our leading-edge consumer panel, gathering exclusive data on Amazon’s recently released Echo Show and Echo Look, as well as Apple’s HomePod. 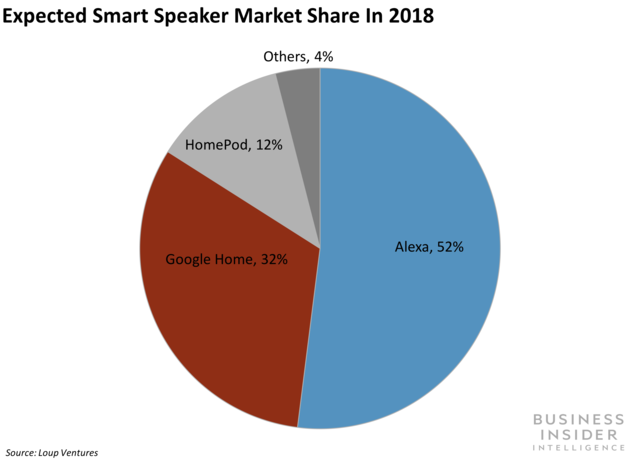 Peter Newman, research analyst for Business Insider Intelligence, has put together a Smart Speaker report that analyzes the market potential of the Echo Look, Echo Show, and HomePod. Using exclusive survey data, this report evaluates each device’s potential for adoption based on four criteria: awareness, excitement, usefulness, and purchase intent. Finally, the report draws some inferences from our data about the direction the smart speaker market could take from here. Amazon’s new Echo Show is the big winner — it has mass-market appeal and looks like it will take off. The combination of usefulness and excitement will drive consumers to buy the Echo Show. The Echo Look, though, seems like it will struggle to attract that same level of interest. Apple’s HomePod looks likely to find a place in the smart speaker market but won’t dominate its space like the iPhone or iPad did.